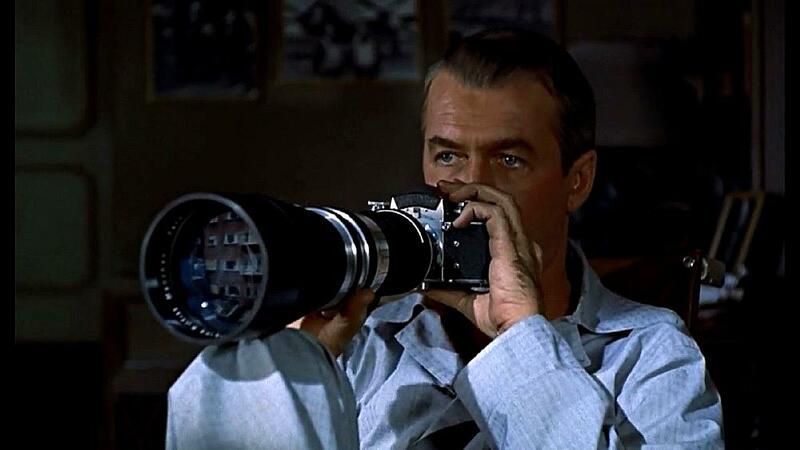 One Eternal Day: "We think Thorwald did it"
I watched the restored Rear Window again last night for the first time in several years. Amazon provides the film in several formats. I prefer the Blu-ray because of the excellent supplements including interviews with Hitchcock himself. There are also interviews with John Michael Hayes who wrote the script for Rear Window and several other Hitchcock films and with Hitchcock's assistant director — interesting to me for what they knew about the man and how he worked. There are good discussions about how Hitchcock used montage and sound. All good stuff if you enjoy his films. .... Stewart portrays a news photographer confined to his apartment with a broken leg. He passes the long hours by playing peeping-tom on the people who live in the other apartments overlooking the courtyard. It’s a hot, humid summer so shades are rarely drawn to block his view of intimate goings-on. In one of the apartments occupied by Raymond Burr and his invalid, shrewish wife Stewart observes things that lead him to believe Burr has murdered and dismembered the wife. There is very little actual violence portrayed in the film — murder and dismemberment are speculated upon but not shown. Nevertheless tension builds.